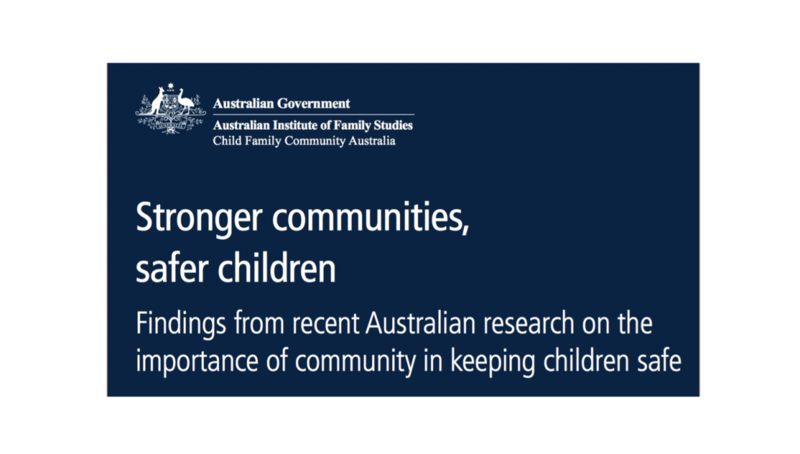 As part of National Child Protection Week 2016, NAPCAN and AIFS are pleased to launch the document Stronger communities, safer children: Findings from recent Australian research on the importance of community in keeping children safe. This document provides important information for all Australians to see how working together to build community can help to create a safer environment for all children. In particular, we urge governments and decision-makers to consider these findings in order to prioritise projects that contribute to community and focus on the prevention of abuse and neglect.